Metal braces are still the most common type of orthodontic system used today. Their durable and affordable nature makes them a popular choice for children and adults alike. At Polaris Orthodontic Center, patients can look forward to a safe and satisfying treatment experience with a team that always puts their best interests first. We’re located here in Columbus, OH – contact us today to schedule your first consultation with Dr. Amin Mason, or if you have any questions or concerns. Dr. Mason will bond silver brackets to the front of the patient’s teeth. 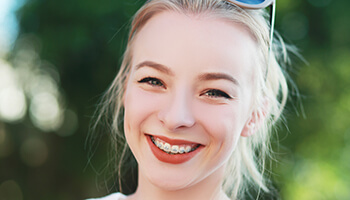 Each bracket has edges that are known as “wings.” Elastic bands are tied around these wings to hold an orthodontic wire securely in place, which initiates tooth movement while using the brackets as anchor sites. Throughout treatment, the wires will be changed as needed to move your teeth in the optimal position. 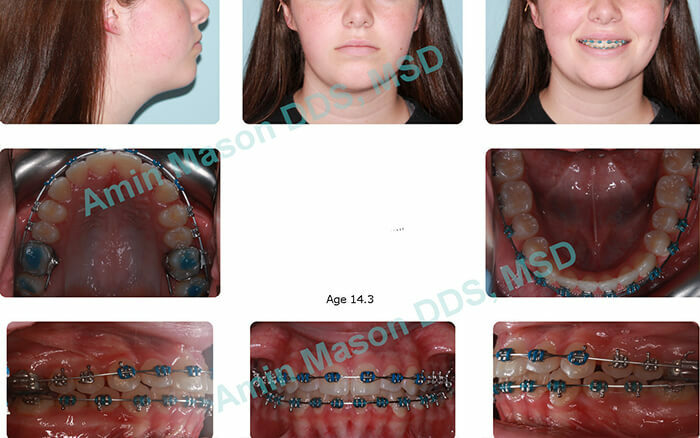 Colored elastics are available that can give your braces a splash of personality! Your son or daughter will be able to pick their favorite color or combination of colors, and more neutral, professional shades like gray and white are also available for adults. 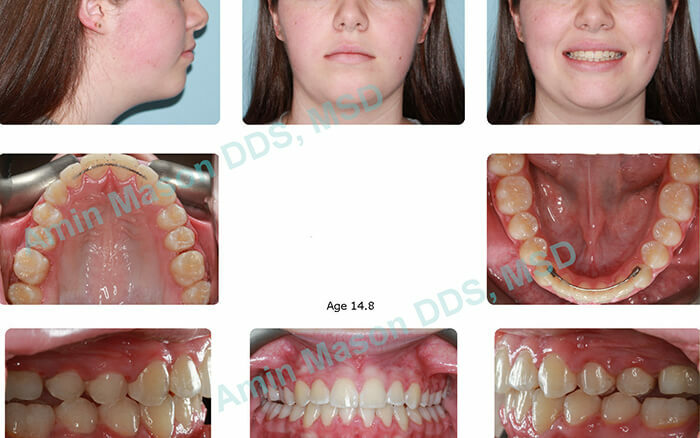 Teenage patient with upper/lower crowding, bilateral posterior crossbite, anterior crossbite. 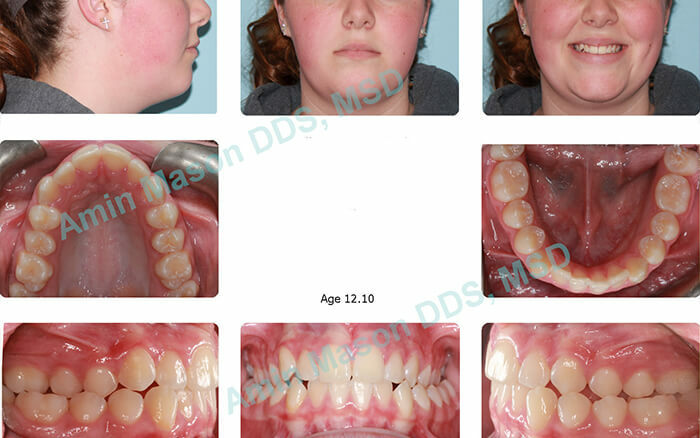 Patient was treated with an expander and traditional braces.